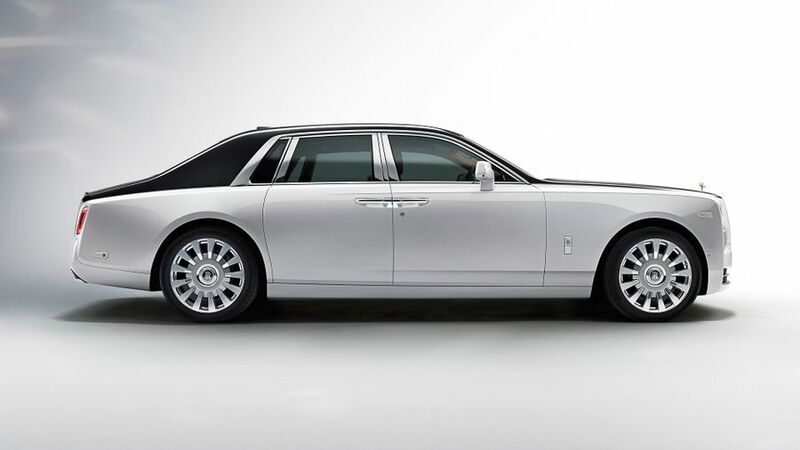 Rolls-Royce has unveiled the brand new Phantom, its range-topping saloon car. The eighth generation of the car to bear that name, it not only brings a new look to the company’s products, it’s said to be the most technologically advanced Rolls-Royce ever and nothing less than ‘the world’s foremost luxury product’. Unlike other luxury car-makers, Rolls-Royce has chosen not to build the new Phantom on the same platform as other more mass-market cars. 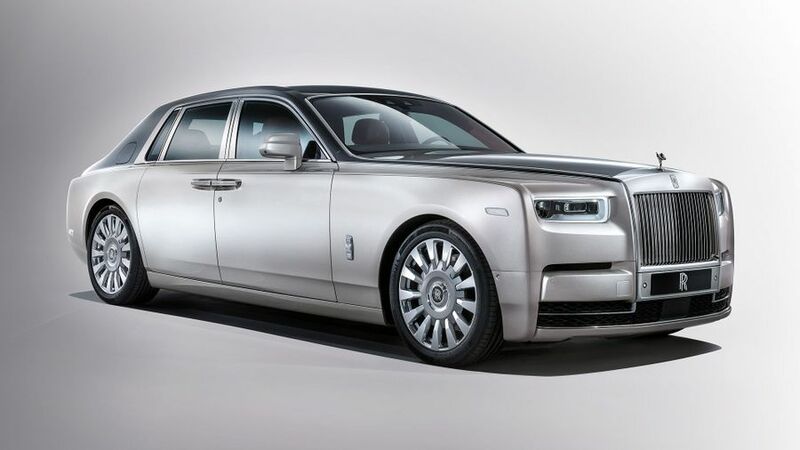 Instead, the car is based on a unique platform, which will allow the company to produce a car that can be made individual to each owner, and which will form the basis for the company’s forthcoming cars, including the Cullinan SUV. Among the benefits of this new aluminium structure are that it is lighter and stiffer than the previous Phantom’s, leading to better ride comfort. Combined with air suspension (which uses information from a camera to ‘read’ the road ahead and adjust to what it sees coming), the latest driver-assistance systems and four-wheel steering, the result is what Rolls-Royce calls 'effortless' ride and handling and an undisturbed passenger whatever the driving conditions. 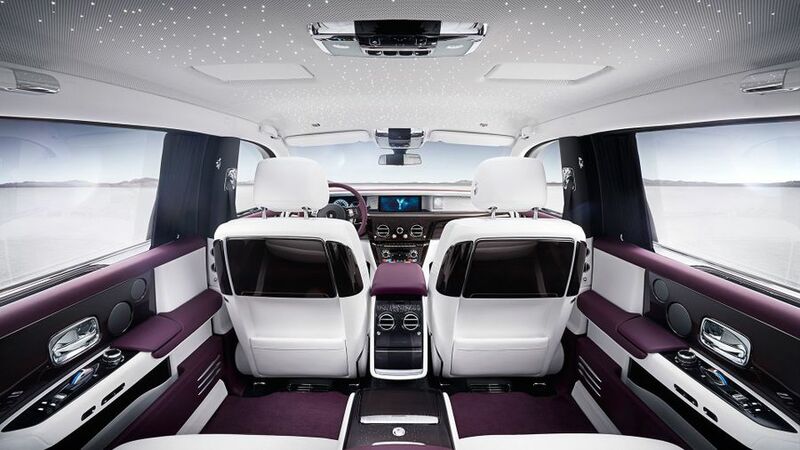 Inside, thanks to double glazing all-round and 130kg of sound insulation, the new Phantom is claimed to be ‘the most silent motor car in the world’. Also contributing to that claim is the Phantom’s brand new V12 engine, which has twin turbochargers to give more power at lower revs than the previous car’s non-turbo V12 engine. The company says this gives calm low-speed progress, as well as an unfussed surge of power when needed. That much is expected of a Rolls-Royce, but the new Phantom is also claimed to be the world’s most advanced luxury motor car. Among the assistance systems on-board are: Alertness Assistant, Night Vision and Vision Assist, Active Cruise Control, collision warning, pedestrian warning, a high-resolution head-up display, and the latest navigation and entertainment systems. What’s also new on this Phantom is the way it looks, with the famous grille set higher than on the current Phantom and – for the first time – integrated into the surrounding bodywork. It also means the Spirit of Ecstasy sits about half an inch higher. The headlamps, too, are new, including a ring of daytime driving lights and an advanced laserlight system that can light well over 600 metres down the road. Even getting into the Phantom is an event, with the door handles deliberately designed to sit proud of the car’s body; and, when the driver or passenger is inside, an assistant or valet can touch a sensor on the handle, and the door closes automatically. The cabin is built from the most precious and contemporary of materials, but designed to convey a feeling of lightness and simplicity, so that the technology remains hidden until it is needed. High gloss wood panelling can be commissioned for the doors, centre consoles, dashboard and picnic tables and some of the design is influenced by luxury yachts. In the back, buyers can choose from a variety of different seats and layouts, while the seats themselves are angled so that back-seat passengers can talk to each other without straining their necks; the new fixed rear centre console incorporates a drinks cabinet; and, behind the wood panelling on the back of the front seats are the picnic tables and monitors, which are deployed and retracted at the touch of a button. To maintain the feeling of quality throughout the car, every switch is made from metal or glass, or wrapped in leather, while the seat-heating system also heats the front door armrests, front centre console lid, rear side armrests and rear centre armrest. The dashboard is designed to be what the company calls a ‘gallery’, with everything hidden behind a swathe of toughened glass that runs right across the dash. Within it, the instrument dials are framed with chrome, but the dials themselves are digital, with LED backlighting. Beyond that, the dash can be an actual art gallery, as the designers have left a space on the dashboard where owners can put a piece of art – either specially commissioned or from Rolls-Royce’s own collection – allowing them to further personalise their car. As yet, there’s no detail on when the car will be available to order, but we understand that it will probably cost from around £400,000.